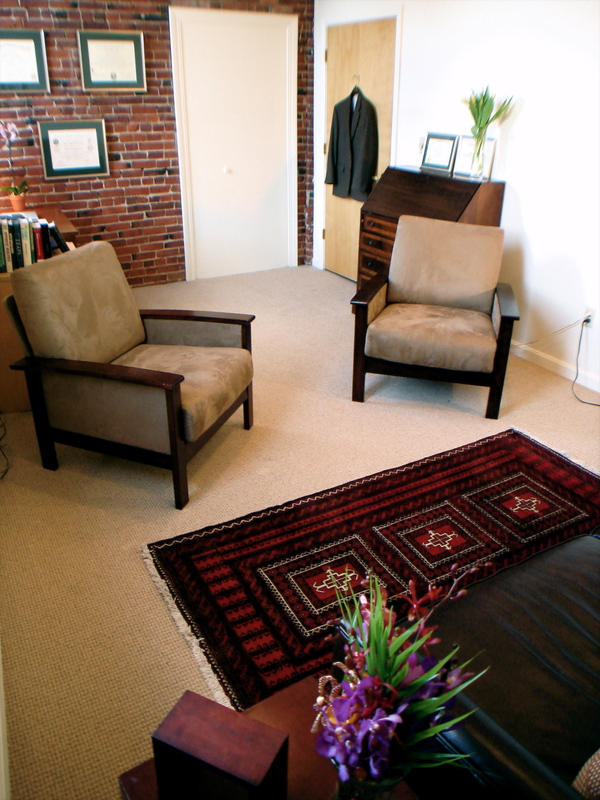 I offer psychotherapy, medication management, and clinical consultation. I also offer legal services as an expert in the field of psychiatry. In my office, I see people age 18 and over for a wide variety of reasons. Perhaps you already know or suspect that you have a history of depression, anxiety, insomnia, or post-traumatic stress; or perhaps you are struggling with issues in a relationship, a life transition, a loss, school, work or illness. Maybe you don’t even have a name for what is eating at you—you just know it’s keeping you from being at your best. Or perhaps you have been receiving psychiatric medication from a primary care doctor and would like a specialist’s opinion about whether it is the best approach for you. I can help with all these situations. When we first make contact I will try to get a sense of your needs, and the degree of urgency. If it is clear to me that I will not be the best person to help you, I may let you know that and suggest alternate resources. Otherwise, we will schedule an initial meeting. Often I am able to see new clients within two weeks, depending on your own flexibility. Prior to our initial meeting I will ask you to complete intake paperwork including contact information, medical history, treatment agreement, etc. If there are individuals you wish me to be in touch with about your treatment, such as another therapist, primary care doctor, or family member, I’ll ask you to fill out a Release Of Information form as well. An initial consultation lasts about 90 minutes. This meeting serves several purposes: it gives you a chance to describe what has led you to seek my assistance; it gives me an opportunity to learn about your background, lifestyle, and relationships; and perhaps most importantly, it gives both of us the opportunity to assess whether we will be a “good fit”. Depending on the situation and your level of comfort, I will often suggest one or more additional 50-minute meetings to follow closely behind the initial consultation. These give us a chance to understand more about the context of your difficulties, as well as further evaluate our ability to work together. After this, most clients continue seeing me in one of two broad capacities: either as therapy clients (often with concurrent medication management), or for medication management alone (either seeing a different person for psychotherapy, or without therapy at all.) Clients seeing me for therapy usually come for 50-minute meetings at least twice a month, while medication-only clients generally come for 20-30 minute meetings on a less frequent basis. The actual schedule of our meetings, however, remains highly flexible depending on your preferences and needs at any given time. Please see the separate pages about psychotherapy and pharmacology for more information about these forms of treatment.